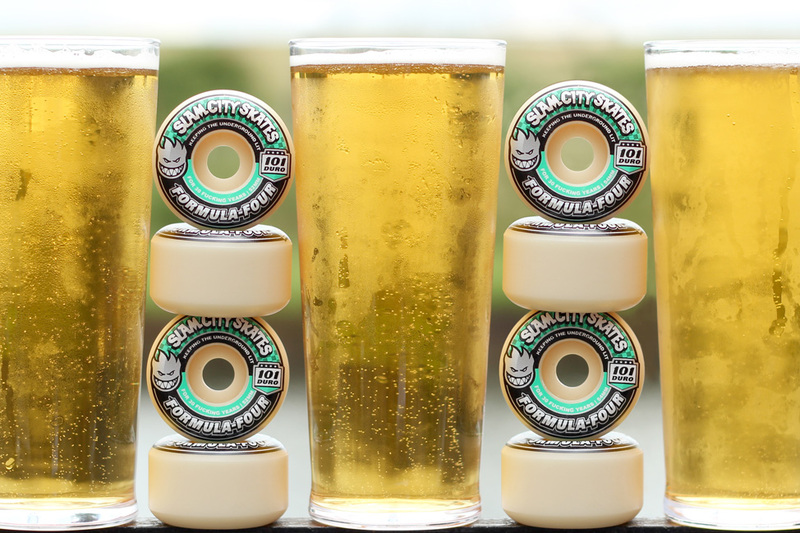 Shop Spotlight: Slam City Skates — PIXELS – Skate videos, news, nonsense. 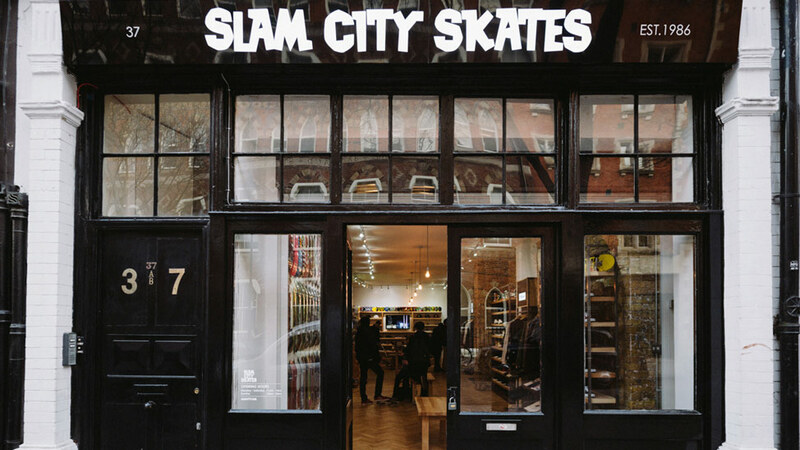 Next up in our “Shop Spotlight” series, we spoke to Dave Atkinson about one of Europe’s most widely known skate stores “Slam City Skates”. Discussing the history of the store, celebrating another landmark, an endless list of big name visitors and so much more, this is an enjoyable and insightful read about one of London’s longest serving core shops. What are your shop’s locations and when were they opened? 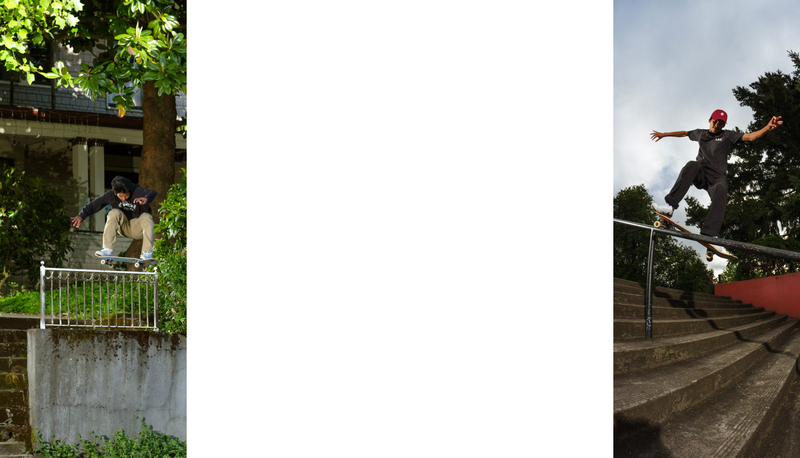 We were established in Talbot Road, West London in 1986 and have been in Covent Garden, since 1988. In 2014 we opened our second store near Brick Lane in East London. We also have a warehouse store in Enfield, London. What’s does the shop bring to the London scene? It’s a place to meet your mates before a day skating and where you all end up when the session didn’t quite get past the beer shop. You recently celebrated your 30-year anniversary with a Spitfire collab, how did that come about? We have worked with Shiner and Jim (Thiebaud) at DLX forever. We made a Spitfire Wheel to celebrate our 25th anniversary which was a huge success so it made perfect sense to follow this up for our 30th. The added bonus is that since then conical Formula Four’s has come along and blown all other wheels away, so we really wanted to do a wheel with this shape and urethane. You’ve got some of the UK’s marquee names riding for your shop. Can you tell us about how you assembled your team? The best skateboarders in London and the UK were basically hanging out at Southbank and the shop (and The Cross Keys) everyday so it made sense to put them on! More recently we are trying to support the new wave of talent coming up with recent additions Jake Harris and Kyle Wilson (below) making waves, watch out for new footage of both of them very soon! Back in 2011, you released your first full length feature “City of Rats”, which coincided with your 25th year anniversary; have you got any similar plans for your 30th? Making a full length video these days is a serious endeavor as most of our team have a lot of other filming duties with their other sponsors which they can’t ignore. What we are doing is releasing a lot of shorter edits linked to special releases we are doing throughout the year – we already released our Dickies X Slam edit and of course the Spitfire X Slam edit and you can expect a few more big surprises before the year is out. How did the moving of the Covent Garden shop go down with your regular customers? How many people a day do you think go to the old premises and ask the new tenants where your shop’s gone? They must be close to putting a sign in the window! We have been there over a year now so word has spread but we do still hear weekly that people are trying to find the old store at 16 Neals Yard and letting us know how much they miss it. Luckily we only moved round the corner so customers normally figure it out! Who is your all time best employee? Jake Sawyer for best employee/Slam mascot – over a decade of service and still going strong! You must have had some famous visitors to your shop over the years. Who was the most surreal? Robin Williams, Nick Cave, Robert Downey Jr, Thom Yorke – still a regular visitor with his kids, Kiefer Sutherland, Jason Donovan, Bjork, Morrissey, Robbie Coltrane – always bought Circa! ASAP Rocky who slightly unexpectedly is a very very polite man, Steve-O, Heath Ledger who bought a Dinosaur Jr cruiser for getting about the set of Batman in the months before he died, Jay Mascis, Alec Baldwin – he bought Karim’s signature Slam cap that looked like a Barbour Jacket from the sale bucket and The All Saints all bought setups after hours on Christmas eve, just to name a few! On top of that we have hosted live music by The Beastie Boys, Mazzy Star, Thurston Moore (Sonic Youth), Jeff Buckley, Black Lips and many more from when Rough Trade was in our basement. The list of skateboard royalty that have visited is also extensive – Hosoi, Gonz, Cab, Muska, Bam, Penny, Van Wastell, Cardiel, Dylan Rieder, Rodney Mullen… the list is huge. Is the shop still a magnet for nightmare fashion stylists who buy hundreds of pounds worth of stuff that doesn’t go together and try to return it all a few days later? We thankfully managed to pull the brakes on this nightmare.